Tuesday is trash day so minutes ago I was pulling fallen branches covered with Spanish moss to the street when my neighbor, Mike, out for a run, stopped to chat. Second Gardener steps away from trimming bushes to get a good look at the snake. I did so. When I reached the driveway and turned around, I saw the snake as it uncoiled and slithered in desperate speed across the porch and into the azalea bushes. Now, at 5707, things are different. Our black snake did not make the move down the street with us. That’s unfortunate because we have encountered a number of snakes since we moved here eight years ago. First seen was a brown ribbon snake, long, thin and handsome, that made Tracy jump quite high while he was gardening and caused the snake to exit speedily under the fence. One other snake, species unknown, came to an unfortunate end on top of our roof. We returned from a walk around the neighborhood in time to spot a long, dangling snake that appeared to be dancing from the jaws of a hawk standing on the highest part of the roof. Overhead, several other hawks circled in envy, I suppose. Other than that, we’ve seen garter snakes in all parts of our yard, especially in the areas where chunks of limestone cover a dry creek bed in our front yard. As Mike walks away, I start thinking that I may need a second team of gardeners to do some serious weeding because I am now done with picking up moss covered branches from the wooded areas in our front yard, at least for the time being. Then, an earlier snake report comes to mind: our neighbor, a grandmother, who lives a few doors down tells us she was home alone one day when she saw a large snake in her yard. The snake scared her because it was so big and her little granddaughters play in the grass every day. Could this be the same snake that Mike saw or could there be a second venomous snake of that size commuting from the preserve? My neighbor shows me, cupping her hands, how big around the snake was, and then extends her arms to show how long it was. The next day, the Pest Control Guy arrives to do whatever it is he does around the house and yard. I feel obliged to tell him about the snake stories of late in case he encounters something with scales in our bushes. For now, we have come to the close of the Snake Report. Temperatures have dropped and before long there will be frost on the rooftops and for as many as thirty days during the winter months, we’ll have nights of freezing temperatures. As to the water moccasins and other snakes, hibernation will be their usual winter inactivity. Personally, I was relieved that the snake report did not include any mention of a Burmese Python, the enormous snakes that have invaded the Florida Everglades. To be continued, hopefully not anytime soon! Flavors of the Fjords has the largest number of traditional Norwegian holiday recipes–cakes, cookies, breads–ever put together in one book! 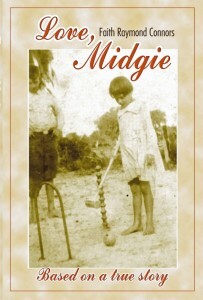 Interwoven with fascinating bits of Norwegian social history, including explanations of Norwegian Holiday traditions and customs, many of them kept alive to this day by millions of Norwegian-American families. 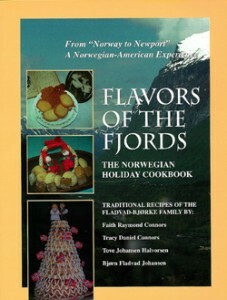 Authentic Fladvad and Bjørke family recipes for over 125 holiday cookies, cakes, breads, toppings, and puddings are interwoven with fascinating bits of Norwegian and Newport, Rhode Island social history. These authentic Norwegian recipes reflect the holiday cooking, uniquely Norwegian, brought to America by nearly one million Norwegian immigrants.